Liquid Organic Micronutrient & Organic Growth Enhancer For All Plants, Trees and Turf. Approved for Use By Organic Farmers. 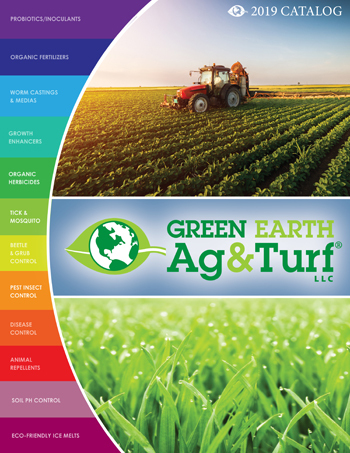 Founded in 1980, KeyPlex Micronutrients has continually focused on researching plant health, establishing a link between the necessary plant nutrient requirements and the most efficient way to supply them. Thus, the development of Keyplex’s patented blend of micronutrients, yeast hydrolysate and humic acid found in each of our products fuels the energy requirements for defense, growth and reproduction necessary in plant production and stabilization. 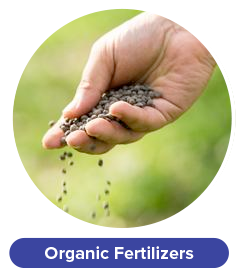 Our careful selection of raw materials, together with our precise standards of production, provides a consistently reliable method of insuring that the optimum level of plant nutrition and effectiveness is realized. Three decades later KeyPlex research continues to unravel the complex world of plant health and its relationship with nature. 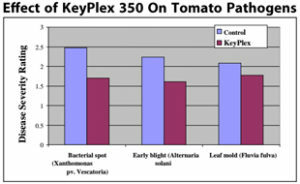 Though understated, the use of KeyPlex makes the complexity of plant health universal and simple. is made from all naturally fermented organic products. 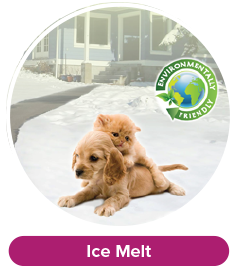 Over three decades of scientific studies and field trials on KeyPlex have proven and demonstrated that that these products are highly effective. 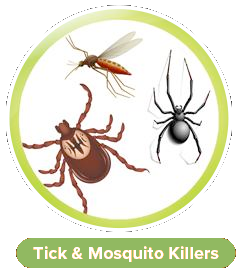 Thee scientific data that has come from this intense research confirms that KeyPlex elicits the production of defensive proteins (SAR), stimulates plants resistance to infection and aids in eradicating the damaging effects of environments stresses. 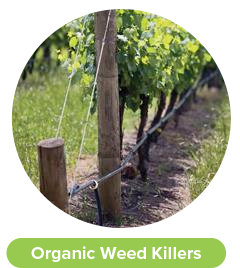 In 2004 the EPA approved KeyPlex 350, the only biopesticide with micronutrients, providing growers a safe and effective alternative to traditional materials. 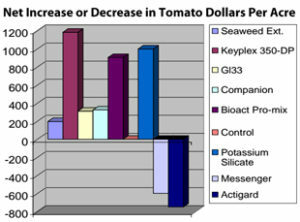 KeyPlex is trusted by many of the most innovative and progressive growers and turf care professionals in the world. • Demonstration of a Sustainable Approach to Citriculture within a National Wildlife Refuge in the Indian River Area. • In Focus: Four Questions With KeyPlex Executive Vice President Dante Brunetti on Sytemic Acquired Resistance (SAR). 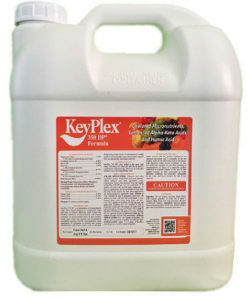 Apply KeyPlex in a sufficient water volume to thoroughly cover turf or foliage. Apply specified rate in 20 to 100 gallons of water per acre. 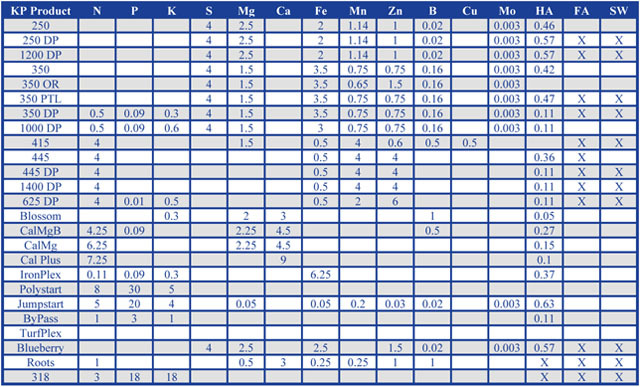 Turf: Apply 1 to 2 quarts of product per acre as a foliar spray (0.75 to 1.5 fluid ounces per 1,000 square feet). Repeat at 7 to 21 day intervals, as needed. 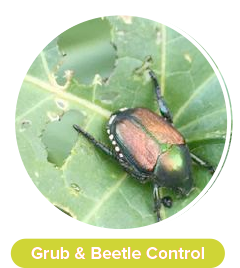 Vegetables (including pepper and tomato): Apply 1 to 2 quarts of product per acre as a foliar spray starting at the 4-6 leaf stage. Make two applications prior to bloom. Repeat applications at 7-14 day intervals, as needed. 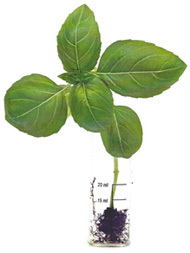 On other vegetables, make one application three to five days after emergence or transplanting. Repeat applications at 7-14 day intervals, as needed. Field Crops (including peanuts, cotton and tobacco):Apply 1 to 2 quarts per acre of product as a foliar spray two to four weeks after emergence or transplanting, followed by up to 4 additional applications at 14 to 21 day intervals. Small Fruits (including cranberries, blueberries and strawberries): Make one application prior to bloom followed by up to three applications at 14 to 21 day intervals as needed. Yeast Extract Hydrolysate from Saccharomyces cerevisiae.............0.063%. • 1 Quart (350 Only).